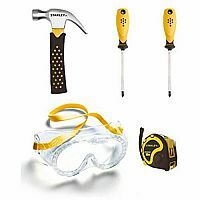 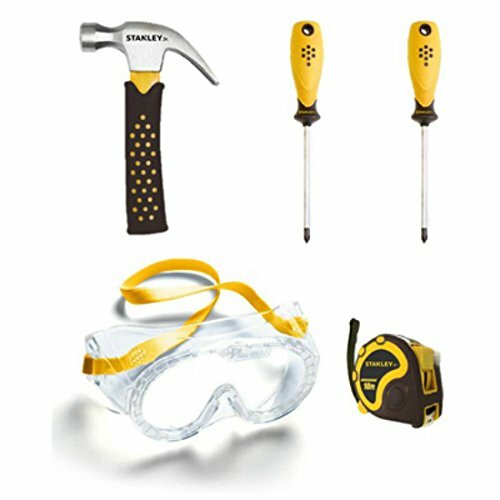 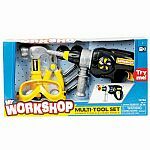 This set includes Phillips Screwdriver #1, Phillips Screwdriver #2, Hammer, Tape Measure, and Safety Glasses. 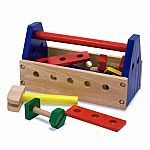 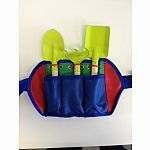 Tools specially adapted to children's hands & physical skills. 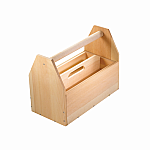 Measures approximately: 9.50 x 4.00 x 15.50 inches..